← What is a low-GI diet? Spicy peanut butter is the new addition to i2cook family of organic products. After all the hoopla over the peanut butter, at i2cook we introduced something more suitable for the Indian palate. 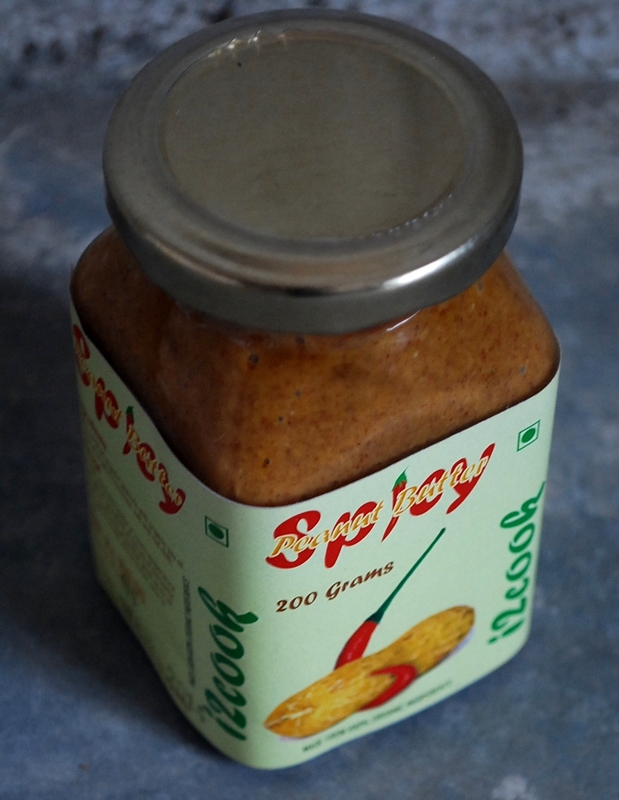 The idea of creating a spicy version of peanut butter was to make it more versatile as a condiment which can be used in both Indian and Western cooking. The best part about this product is that it is made with no added oil. The combination of peanuts and spice is something we Indians have brought up with and you can’t go wrong with the combination right! 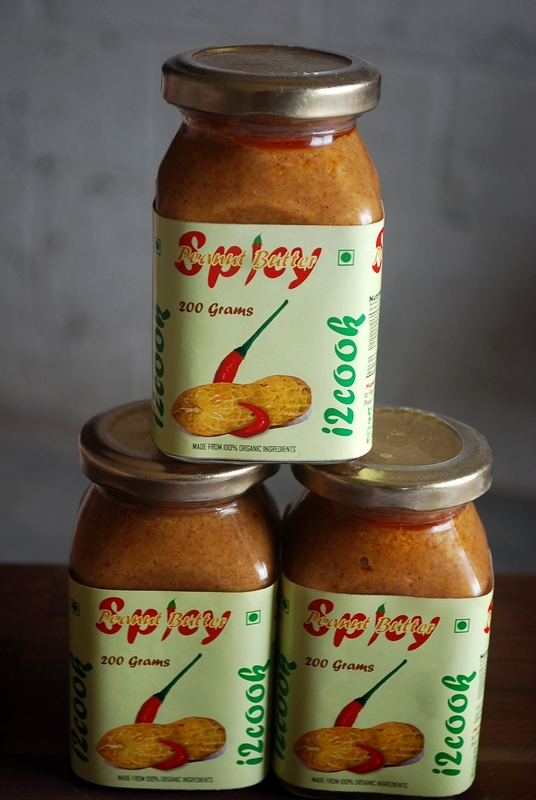 Spicy peanut butter can be used to make Thai dishes like Thai peanut dip, pad Thai or chicken satay. It is also great with khakara (Indian crackers) or you could also make peanut chutney by grinding it with some coconut. Since, it is in the wet form, you don’t have to add extra ghee or oil to moisten. You could eat it directly with your dosa, idli or chapathi. It is also great as a spread to make rolls of your desired filling. Needless to say that our spicy peanut butter is also great as a spread for sandwiches. A note on peanuts: The peanuts are sourced from an organization which believes in organic farming and practises multi-cropping and crop rotation to preserve soil fertility. Since there is absolute no use of pesticides, the farmers use neem and cow urine to keep the pests at bay. Our spicy peanut butter is available on our online store i2cook.com and in other stores too. Mix all the ingredients together and add some water for a thinner consistency. 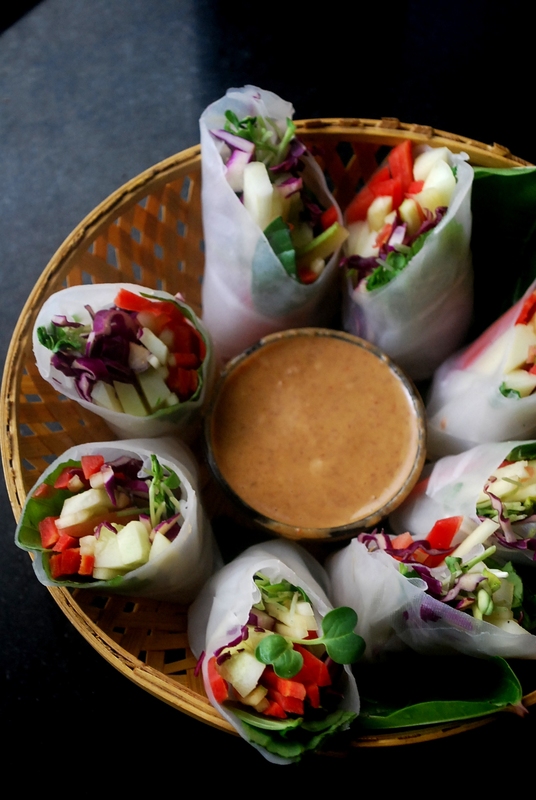 Serve at room temperature with spring rolls. You could also use this as a dip to serve with some sliced cucumbers and carrots.